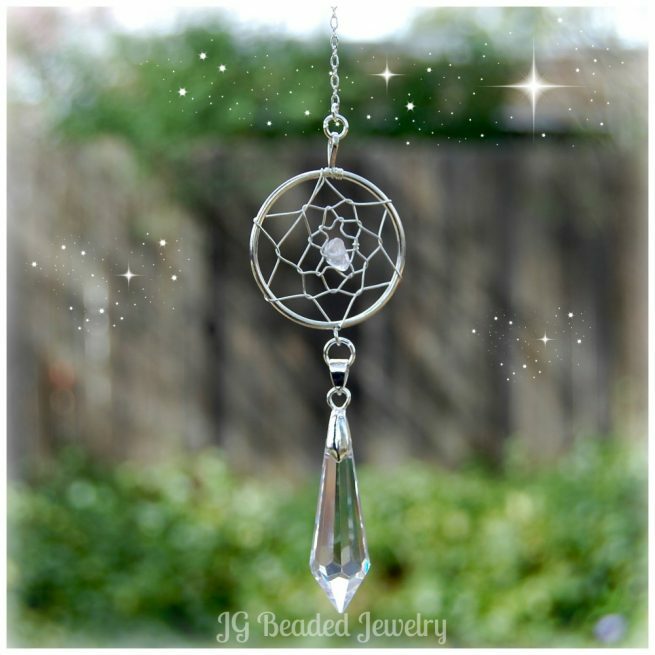 Hang this crystal dreamcatcher in window, over your bed, on a wall or even from the rearview mirror! 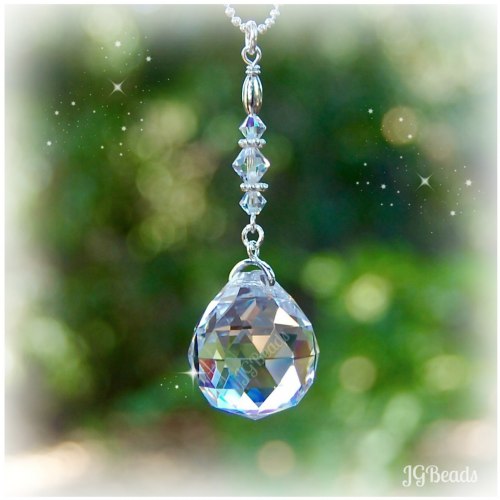 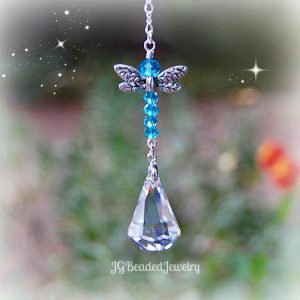 The silver dreamcatcher has a tumbled clear quartz gemstone in the middle and a 1.5 inch clear faceted teardrop crystal hanging from the bottom – simply gorgeous in person! 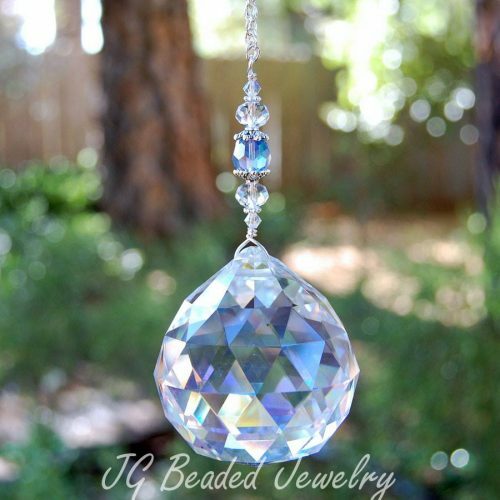 Find more Dreamcatchers, Rearview Mirror Crystals, Crystal Suncatchers and Light Pulls!